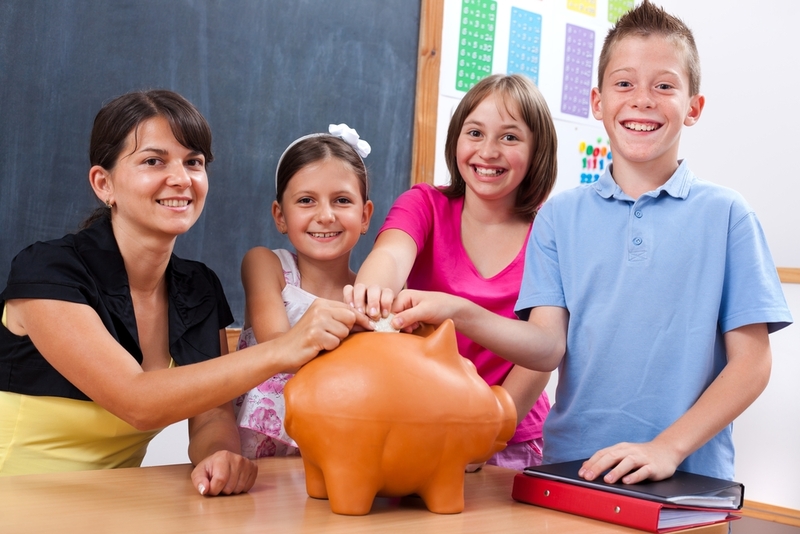 Financial Literacy: Help K-12 Teachers and They’ll Pay it Forward! It’s so easy to get into trouble with money. With digital banking, mobile money, online games/rewards and online borrowing, money has become a very abstract concept. With paper currency nearly a thing of the past, you no longer have to be thoughtful about how much money is in your wallet. Gone are those precious few seconds where you debate the merits of making a purchase or not. 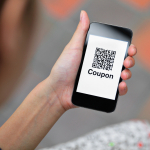 “All things digital” leads to instant decisions and quick clicks. The high of instant gratification is overpowering. It’s ridiculously easy to loose sight of the fact that you are spending more than you have or borrowing more than you could realistically pay back. With the deck increasingly stacked against the consumer, the importance of understanding personal finance has never been so great. With that, let’s focus our attention on the theme of financial literacy for the K-12 schoolteacher and their students. To be financially literate requires a foundational understanding of key concepts and principals of mathematics and economics. I grew up in the 1980’s when board games were all the rage. Many family nights were spent in the competitive buying and selling of valuable properties and resources in the cutthroat game of Monopoly. Besides being a lot of fun, there were practical lessons about currency, arithmetic, investing, and financial strategy. I also remember our school store, book fairs, and other real world opportunities to practice money skills. The private school that I taught at was fond of having third graders create a school store, complete with merchandise and real currency. (Of course, we kept close watch on the money and made sure all was accounted for at the conclusion of the unit.) The students took turns buying and selling items, keeping track of money earned and spent, and managing a budget. Students walked away with a real understanding of how money works. I know that the majority of schools do not have this leeway and are restricted by time and other curricular obligations. Unfortunately, it took a major crisis to begin the process of changing how we educate students on this vital topic. The financial downturn of the last decade has led lawmakers and legislators throughout the nation to mandate that schools teach financial literacy in some capacity. Yes, I am aware of the inherent irony at play here. The irony being that many of our nations educators are underpaid and overworked, but that is for another blog. All 50 states and the District of Columbia have included Economics in their K-12 education standards. Unfortunately, in many states financial education programs are toothless as they are either outdated, unmonitored, under funded, not allotted adequate time and in some cases just not implemented. Perhaps most troubling, is that according to the Council For Economic Education, less than twenty states require graduating seniors take an independent course in Personal Finance and only six states require that this knowledge be tested. This is troubling considering the current state of affairs. Some states are doing better than others. Check out these links to find out about Ohio and Maryland. You can also see how well your state is doing in comparison to others here. Another organization you will see referenced throughout this and future blogs is the Jumpstart Coalition. Here is another info graphic of State Financial Education Requirements. One of the key roadblocks to achieving financial literacy standards is K-12 teacher education. For whatever reason, financial literacy is often just an afterthought in K-12 teacher training programs. So it is perfectly reasonable that many teachers feel uncomfortable and unprepared when it comes to teaching their students about finance. Fact is, many teachers are in debt and in various levels of financial upheaval. Like millions of other working professionals, teachers have credit card debt, student loans, mortgages, and numerous other financial strains and obligations. Teachers need assistance and guidance on financial matters. Thankfully, they now have more resources to draw from in order to become more confident and knowledgeable about finance so they can help themselves and better instruct their students. The Jumpstart Coalition and the Council for Economic Education are both tremendous organizations that offer curriculum, trainings, and other resources for educators. If you clicked on the prior link you now know that there is still time to register for October’s, 53rd Annual Economic Education Conference in Dallas, Texas. You may be able to get your school to pay for it since you will be brining back vital knowledge to share with your students and colleagues. For some additional free tools and financial lessons click here. Lastly, I would like to mention the fine work of Charles Schwab and their partnership with the Boys and Girls Club of America. They created a program called Money Matters that is tailored towards teaching teenagers. You can learn more about this program and the work they are doing by clicking here. Thank you for reading, sharing your thoughts, and offering your suggestions. 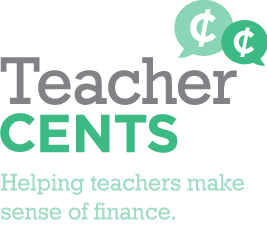 TeacherCents values your ideas and input and truly hopes to be the place where teachers come to talk about finance, both personal and in the classroom. 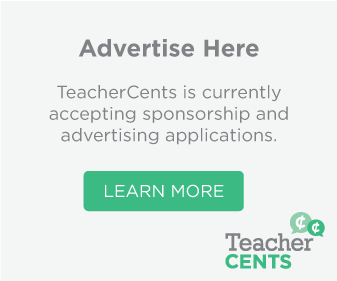 Additionally, we are seeking K-12 teachers to write for TeacherCents and help us grow into a nationwide forum. Thanks again! This is a very pertinent topic for me right now. I work for a Project Based/Expeditionary Learning School. I utilized four big projects I designed and tried to embed the economics standard withing them – it was difficult. This summer I need to plan a separate and shorter Economics projects that gets the kids ready for the new Social Studies 7th grade CO State test, as well as to front load them with knowledge for their future lives. I plan on exploring all the helpful links you provided. Thanks!